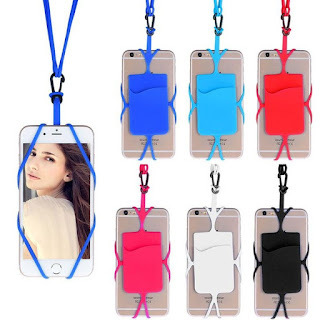 Check out this 3-Pack Universal Smartphone Lanyard Necklace and Wrist Strap for $9.99. Since it can be worn as a lanyard necklace, wrist strap, or backpack attachment, this smartphone holder keeps your device safe and accessible no matter how you wear it. A built-in slot on the strap's back keeps IDs, badges, credit cards, or cash safely stowed and close at hand. Will It Fit My Phone? The case stretches to fit most phones with screens up to 6", and it'll even accommodate certain phone cases.